If each pending financial regulation were a tree, clauses and sub-clauses spreading out like branches, they would collectively form a dense canopy of new rules, under which we all sit.Every sector of business is in the shadow of the following: Capital Requirements Directive IV (CRD IV), the Dodd-Frank Act, European Markets and Infrastructure Regulation (EMIR), International Accounting Standards 39 (IAS 39), and the Markets in Financial Instruments Directive review and Regulation (MiFID II/MiFIR). Together, these regulations impact capital raising, risk management and finance. They ask questions of the way that companies treat the assets they hold, the proportions in which they are held, and the way that risks are managed. These regulations will not only add cost to trading and investment, the process of compliance will not be cheap. Our view is that good analysis can reduce firms’ funding costs for these activities by 15-20 percent in the first year. Tracking the inter-relationship of these rules and mapping them onto your business is challenging. To understand how it will be affected, you need to aggregate the advice from experts across various fields of capital markets. Pulling that together from different divisions within a bank, or even from across several banks, creates a fragmented and often incomplete picture. To make this process simpler, we have set up a market services group to tackle the three major sets of regulatory activities. Firstly is the management of connectivity to, and relationships with, market infrastructure. The majority of vanilla over-the-counter derivatives will have to be executed via an approved trading platform and most will also have to be centrally cleared via a central counterparty (CCP), as determined by EMIR and Dodd Frank. A group treasury must determine how it should interact with clearing brokers, custodians and market infrastructure, to control the risk and cost in clearing. Secondly are collateral management practices, in terms of posting margin on cleared derivatives and the technical standards around the processes and calculation for safekeeping of collateral. The third part addresses limited resource management, issues that are raised around Basel III and CRD IV, which regulate how institutions manage and calculate various ratios around leverage and liquidity requiring collateral evaluation and advisory services. Not every firm is subject to mandatory central clearing, but regulators have set a trend that will push many more down the clearing path. There are already large differences in pricing between collateralised and uncollateralised trades. It is therefore likely that even firms exempted from clearing will clear trades in the future because it will be the cheaper option. Preparing for this now gives you the time to make this part of your strategy. Many parties are struggling with problems like identifying how many clearing brokers to sign up with and which ones to use; whether to sign up with the minimum number of clearers just to get over the line or to have four to five brokers, which can reduce operational and exposure risks. It is enormously expensive to correct wrong decisions. As margining becomes the norm, liquidity management will become increasingly important – particularly to corporates. Keeping a liquidity buffer to help ride out downturn in a business cycle is common enough, but often a downturn is when banks become more credit-sensitive. The time when you have less cash flow coming in is the time when you will also see higher margining requirements. The natural consequence is that firms will sit on larger liquidity buffers. To limit the cost of this it is important to work out how to manage liquidity scenarios. How can you get the right yield on those assets sitting in the buffer? You might need them at short notice, so you need to consider the kind of structure you can put in place for a rainy day scenario in which the buffer was being eroded, but you still need to meet your obligations. Some firms plan to run collateral management from within their own operations department, typically by sticking to simple cash collateral arrangements. This is attractive because it is simple; however, basing a model around what is easiest to deliver, not what is cheapest to deliver, can create a false impression of efficiency. This dynamic is an important one as the scale of margining increases. Financial institutions particularly should be wary of trying to handle collateral through silos within the organisation. The treasury department will typically have people looking at this, so will the trading front office units and possibly even risk functions or bad bank departments. Centralised management is efficient management. Smaller financial institutions almost inevitably will need to outsource some of this activity, but again this must be dealt with centrally. Our collateral advisory and valuation services allow us to sit down with the client, take a holistic view and say: “This is what you can do differently.” It could be as simple as advising you to post euros instead of dollars because it is cheaper, or engaging in collateral transformation. The way in which you set up the master agreement template for your credit support annex (CSA), identifying which collateral is cheapest to deliver and portfolio evaluation techniques, all play a significant part. In the market services unit we have brought together our experts in clearing and execution for both over-the-counter and listed derivatives, our custody business, FX prime brokerage, collateral advisory and portfolio valuation, and we have focused them into one unit. Bringing that expertise to bear on your firm, combined with input from our specialists in regulations and their impact on pricing, can make the process of understanding your situation simpler and can help you formulate a plan for dealing with the totality of the regulatory burden. Before you make a strategic and multi-million dollar decision to sign up with two more clearers, or to collateralise certain assets, or to put inventory in your CSA, take some advice from experienced practitioners. You do not need an explanation of how every aspect of the world will look post-EMIR, you need a clear picture of what your organisation should look like if it is to deal with all of these new regulations. You need to know your options, the impact they may have on other aspects of the business and how your cash flows will be affected. Every aspect of how the derivatives market used to work, pre-crisis, has changed; for example, where counterparty risk has been mitigated, liquidity risk has increased. We are helping firms from across the spectrum come to an understanding of the holistic change this has made to their business. Having a practical conversation about how to tackle a subsidiary, deal with collateral efficiency across a range of funds, or manage your balance sheet at a group level, starts you moving in the right direction. Our team’s expertise lets you have these conversations under one roof, so you can build a strategy with us. 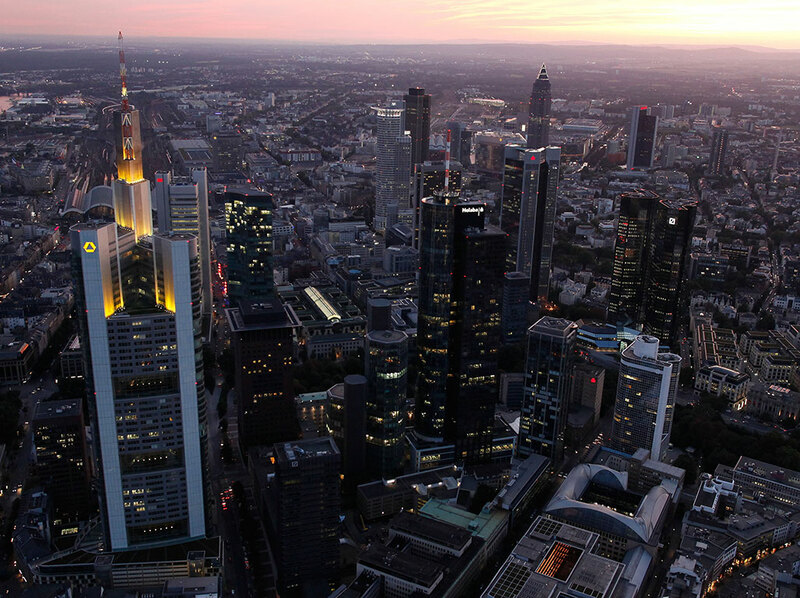 Commerzbank, winner of European CEO’s Best FX and Treasury Management Provider 2013, can also manage functional aspects of regulatory compliance, wedding the advisory expertise to the technological and operational infrastructure it manages. Together we can help you identify the right path to take, and help to carry the burden.